Tom Brady's impressive football resume, much like himself, just keeps getting better with age. The New England Patriots quarterback set the NFL record for the most career touchdown passes in league history with his two-yard touchdown pass to Julian Edelman in the second quarter of Sunday's game against the Miami Dolphins. Brady now stands at 580 career touchdown passes, including regular season and postseason, after tying Peyton Manning's mark of 579 during the team's win over the Vikings last week. 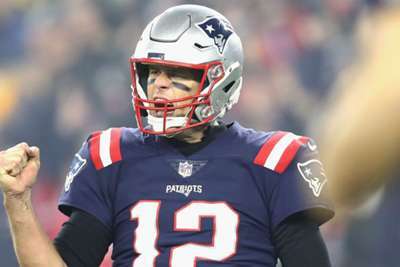 With the score, Brady also moved into sole possession of third place for the most touchdown passes during the regular season. He entered Sunday's game 31 short of Manning and 10 behind New Orleans Saints quarterback Drew Brees. To make the memory even sweeter, the 41-year-old could help New England clinch an NFL record 10th consecutive AFC East title with a win at Miami.